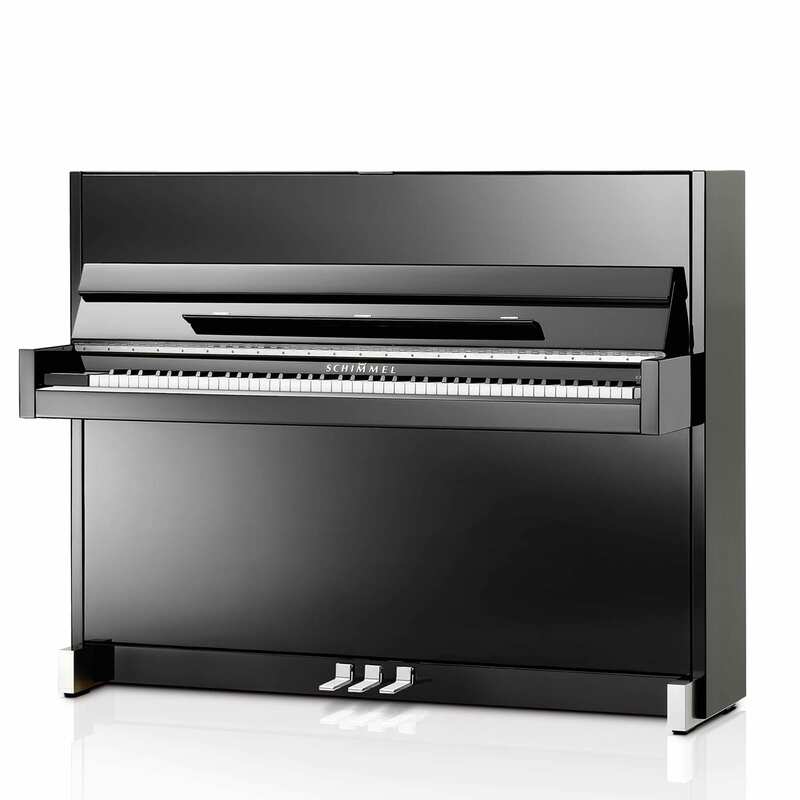 The Classic Collection is the second tier in Schimmel’s piano range after the Konzert series. The three grand pianos in the Classic Collection are known as the ‘Schimmel Trilogy’. This term refers to each of three pianos being different, but as one in their sound system. You are able to share in Schimmel’s full size concert grand experience when you play any of the Classic grand piano models. 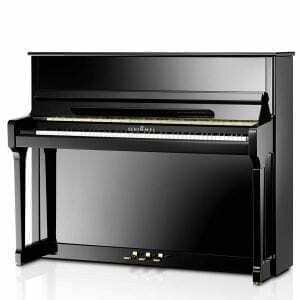 All pianos in the Classic Collection are made in Germany and each of the grand pianos in the series are based on the design characteristics of the full size Konzert grand piano K280. 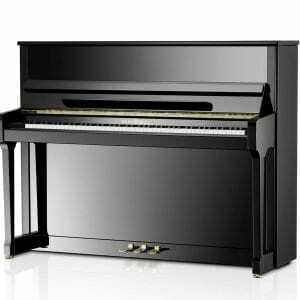 The sound system in the middle and treble section and the action of the Schimmel Konzert grand piano K280 was transferred into the Classic grand pianos and thus, the tonal character and touch closely resembles a concert grand. 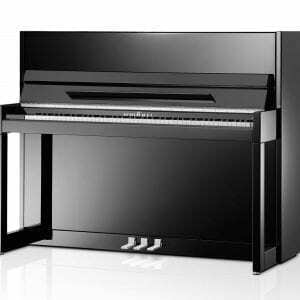 In the patented Schimmel Konzert concept, the well-established and ideal construction concepts for the large Konzert grand piano K 280, have been consistently integrated into the smaller model and, where possible, with identical construction. 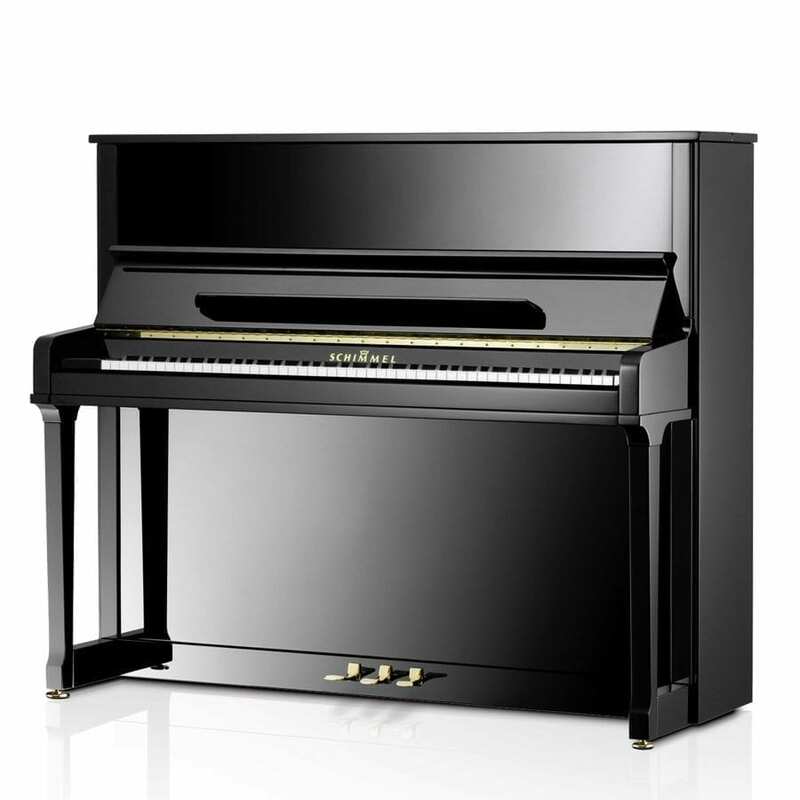 This enables pianists to enjoy the benefits of the outstanding touch and tonal characteristics of a large Koncert grand even when performing on smaller models. This concept and the Schimmel family of sound is unique worldwide. 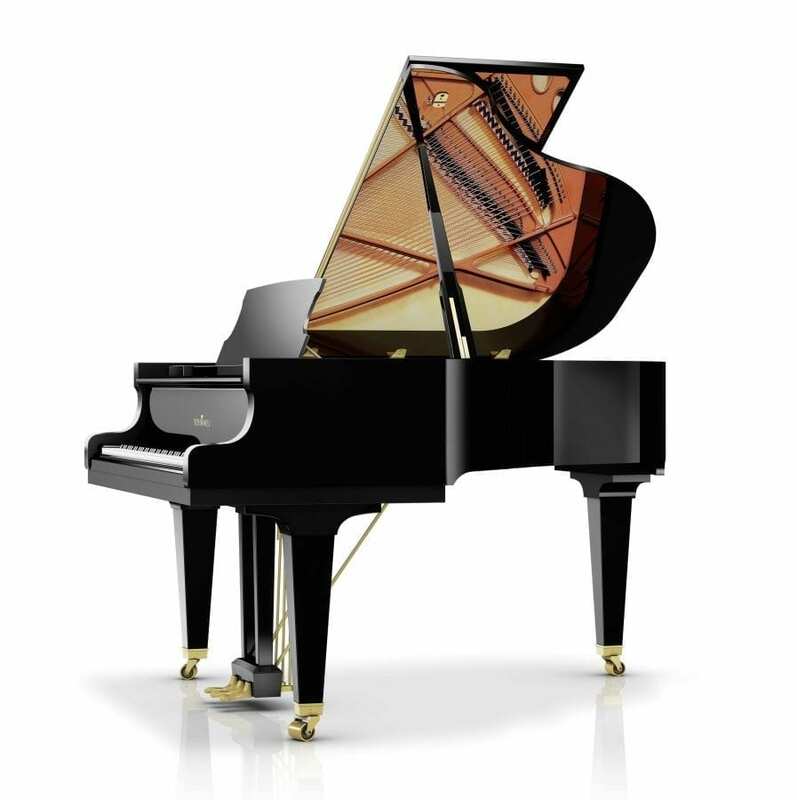 The large keyboard action assembly of the longest grand piano is integrated into the smaller model series, therefore providing optimum leverage ratios which allow the pianist the best possible control over his or her performance. 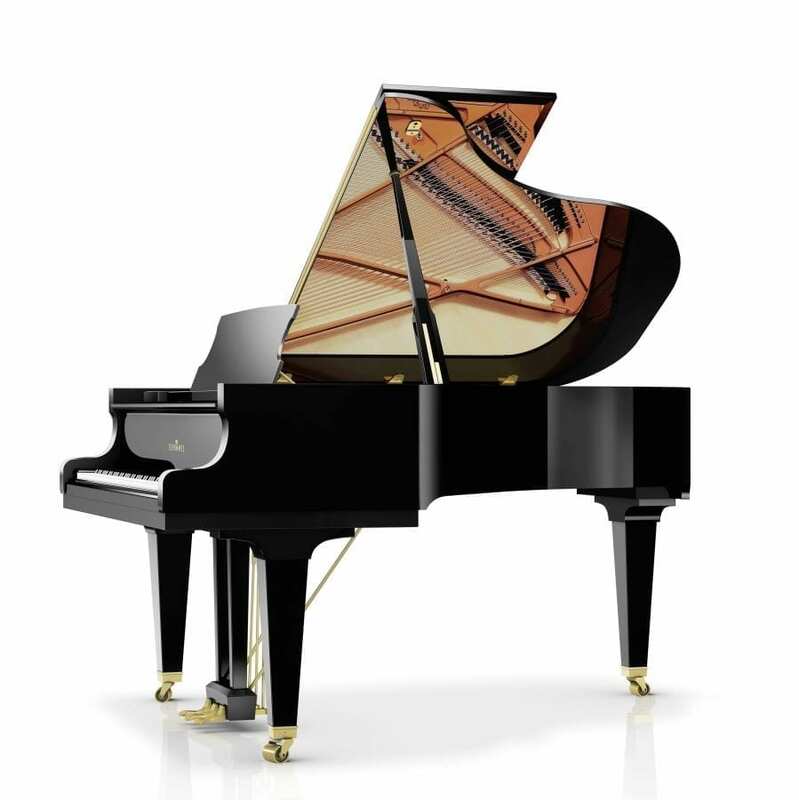 This means that pianists performing on a variety of Schimmel grand piano models can always enjoy the pleasures of playing on a large-scale grand piano and have no need to adapt their performance technique according to different models. The dimensions of the soundboard are extraordinarily large in comparison to the length of the instrument: this is due to the extravagant form of our grand pianos in which ideal oscillation zones have space to develop in the soundboard. These zones permit a greater tonal volume and a superior tonal distribution. Only spruce grown under specific climate circumstances in high mountain regions can be used to make a high quality soundboard. This wood, which is rare and of high value, is exclusively selected and reserved for Schimmel by the Bavarian forestry service. 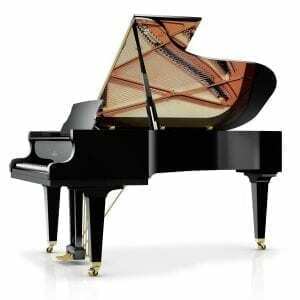 Through the use of the same scaling at parts as the full size Koncert grand piano K 280 in all Schimmel grand pianos, there is always an element of the large instrument´s sound in the smaller Schimmel instruments. German pianos have always been renowned for their quality, and Schimmel have sold more than any other maker – because institutions, pianists and music lovers have trusted in Schimmel’s quality for more than 125 years. Through the Triplex Scale the notes in parts of the middle and treble range are produced with the aid of three exactly coordinated areas of a single string, resulting in an increased richness in tone and a longer speaking length of these notes. The dynamic bar divides the soundboard into sound zones to increase sound dynamics, more tonal colour and a longer sustain also when played pianissimo. Schimmel soundboards are curved in three dimensions thus creating a dome shape known as a ‘crown’. in addition, the thickness of the soundboard tapers in such a way to promote ideal vibrational properties over a wide spectrum of frequencies and amplitudes. These features enable the production of the characteristic rich palette of tonal colours, extended length of tone and excellent tuning stability of Schimmel pianos. The elegant piano leg has a harmonic transition to the glider. The glider permits an adjustment of height to compensate for uneven floors and guarantees that the instruments stays longer in tune. On request, the glider can be replaced by a traditional piano castor. Our grand and upright pianos have participated in international tests since 1988 – and were repeatedly able to bring home top marks. The numerous awards provide proof that the quality of Schimmel instruments is universally acclaimed by experts.